Orders ship Monday, Tuesday and Wednesday to guarantee that our meats arrive fresh to you. Any order placed before noon on Monday, Tuesday and Wednesday will ship the same day. Orders placed after noon on Monday and Tuesday will ship the following day. Orders must be placed by noon on Wednesday to ship Wednesday. Orders placed after noon on Wednesday through Sunday will ship the following Monday. Your shipment will usually arrive within 2 days. Due to the nature of our product, we are not able to take returns into our shipment facility. 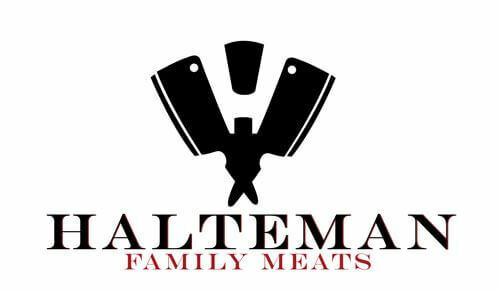 If you feel a product you received does not meet our guarantee, please contact us at 215-925-3206 or directly at info@haltemanfamilymeats.com within 14 days of receipt of your product and our team will gladly assist you to review your individual order situation. Providing pictures and/or a description of any issue with your order will help our team to complete the review process more quickly. The review process should take no longer than 7 business days from date of initiation. We have a 100% customer satisfaction guarantee so if for any reason you are unhappy with our product, please do not hesitate to reach out to our team at the above phone number or email.